← Coming January 15: Incredible Sestina Anthology Reading in Philadelphia! Moderated by David Lehman, poetry coordinator at the School of Writing, a contributor to the anthology, and poet, critic, and series editor of The Best American Poetry series. Sponsored by the School of Writing. $5; free to all students and New School faculty, staff, and alumni with ID. 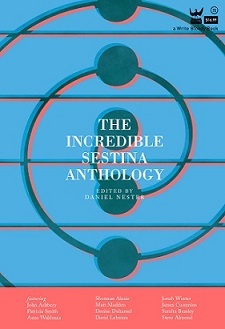 This entry was posted in Readings and tagged best american poetry, Daniel Nester, David Lehman, Incredible Sestina Anthology, New York City, Poetry, Sestina. Bookmark the permalink.